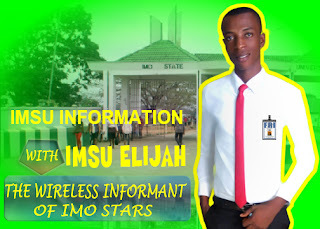 WELCOME TO ELITISM6.COM: Oge cruises to an early lead as Imsu SUG VP Online poll results is released. Oge cruises to an early lead as Imsu SUG VP Online poll results is released. By the statistics below having filtered the void votes Cmr. Rotr. Chibundu Junila(OGE)Won the online poll and can be seen as the most favorite to clinch victory come Tuesday the 20th of December when the elections have been scheduled to hold. NOTE: Winner of this online poll is not the automatic winner of SUG VP election but can be seen as the most favorite to clinch victory come 20th December.